Hi I’m 250 lbs, 5ft 0 & I’m 19. My goal is 160. 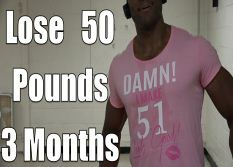 But I want to know if theirs a way I can quickly lose 30 pounds before the middle/end of May. I am a 29 year old mom of 3. I am 5 feet tall and 220-230 lbs. I recently started walking 1.2 miles a day with my 14lb infant in a baby carrier instead of pushing him in a stroller. I have tried to count calories but I get so busy that its hard to keep up with. I am also trying to get better about my diet and actually eat 3 meals instead of just a sandwhich in the middle of the day and then dinner in the evening. Any recomendations... My goal weight is 150 but not in any specific tune frame. Hello, I was wondering if you had any suggestions for a 24 year old woman at 5 ft 5 in. Wanting to get down to 110 lbs from 280lbs. I am 15, 5’5, and 153 lbs. I wanted to know how to loose this gut and flabby figure during my summer. Any tips? I’m a 20 year old female, I’m 5’4 and weigh around 120. I want to get to 110, and only eat an average of 1 meal a day, sometimes not eating at all. I need a good low intensity workout plan for home as my heart rate is always very high. I mostly just want to lose stomach fat and tone it. I’m almost 14 years old and am 5’4 and weight 210 pounds. I would like to loose 50-80 pounds by August. I want to loose it a healthy way but I’m not sure how to do that. How many calories should I eat a day? How much exercise? I’m totally lost. It would be great if you could help! I'm 52 yrs old and had a complete thyroidectomy in 2016. I've gained 40 pounds. How do I lose the weight without killing myself. I now weigh 203 at 5"3. I am a 53 yr. Old female with bad knees and alot of health problems. I currently weigh 463 lbs.. I do not eat much, just the wrong things ( alot of carbs :( ) and due to not being able to walk ( I can walk 60 ft. A day period.) Have gained all this weight. I need to lose 188 lbs. To have knee surgery. My Dr. Just put me on a 1500 cal. Diet. I have a trainer that helps. Please tell me with those numbers how much i will lose in 3 mos. ( for a wedding) and how long will it take me to get to my goal weight of 275. Please help me.Thank you in advance. How do I lose 10 to 20 pounds. I’m 5’6, 18 years old and I’m 124 - 128 pounds right now. How many calories are burnt doing 10 minutes treadmill at 6-7 kmh and 5% inclination? Hey Adrian , im 16 years old 180cm tall and 108kg . I want to lose weight but i don't know what to do . Can you suggest me a diet plan or an exercise plan ? Also is it possible to lose 30kg till june 2018? I'm 19 5'2 and 114 lbs. Yes I have an ideal weight for my height but can I get atleast 101 lbs? 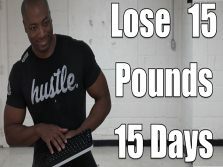 How many lb should I lose per week? Since I have a problem with my ankle, I cant do heavy workout. Can you suggest a for me a workout that can burn more calories but doesnt hard like jump rope or etc? And also I want to toned my thigh and arms. Which workout suitable for that? My name is Shawna. I am 33 years of age 5' 1" and about a year and a half ago had my first experience with a panic attack and the anxiety never went away. I have gained over 30 pounds in a years time from the stress the anxiety has on my body. Now I am making the effort to control my weight. 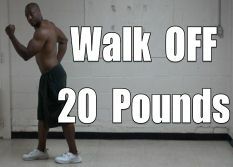 I and doing your lose 20lbs in 3 or 4 weeks. Is there anything else I should be doing? I was told that because I gained weight from stress it is hard for it to come off? Sir!I am Nora.I am 17 years old.And my weight is 134 pounds.I am five feet and two inches tall.I want to lose weight in 3 months Sir.I am a college girl.So I am free only in the evening time between 3 p.m to 5 p.m.Sir,what should I do.Please help me.I have too many fat in lower abs area. Hi, I am 39 years old and 250 pounds. Very over weight I have tried alot of things but DONT stick with it. I feel tired and weak all time . I hate the way I look . I need to lose about 100lbs.....help..
Hi Adrian, I am 14 years old, 5'5" and 167 lbs....I would really like to lose 30 pounds by August. Can you help me? I'm 168 5'3 wanna lose 30 pounds by the end of the year I jog/walk 35mins a day everyday and I work about 2030 hours a week on my feet the whole time moving around what do you suggest I do to lose this weight a little faster. Everything you are doing is great but the best possible healthy way to lose those pounds is counting calories eat up to 1500 a day but eat healthy as well like veggies and fruit Almonds and Avocado are fat burning foods and drink alot of homemade green tea no lemon surger or honey. This will help you lose weight fast and just try to get this into a lifestyle it's very beneficial to the body. I m 167 5'3 my BMR is 1450 my question is what if I consume 700 n do ur HIIT 30 min running workout twice a day can I lose upto 60lbs in 3 months? Hi! I hope you can help me with my weight loss endeavor. I'm 23 years old , 214 lbs and stand tall at 5'10. I'm into jogging. What time frame can you suggest, how often? Can you recommend any diet regimen, but I'm poor in counting or monitoring the calorie content of what I'm eating? White rice is our staple food. My objective is to lose 5kgs in one month (despite busy schedule, I only have Saturday and Sunday morning to jog). Thank you! Hi Adrian, I just wanted to let you know how wonderful your site is. This is the most encouraging place I have ever been to. I hope you keep up this good work. Just wanted to know how thoughtful you are for taking the time to show care. Thanks. Ok, I'm in my mid thirties, have rheumatoid arthritis, and fibromyalgia.... Want to lose weight.... Any suggestions?? I am 5ft and in a wheelchair. I have a problem with losing weight but I don't have trouble gaining it. I can walk a little bit. I play sports but it's wheelchair sports. What do you recommend. Hi im 16 and I weigh 200 lbs I would like to be 150 by August or September what can I do to lose the weight?